Book DeAnne Julius as a keynote speaker. Dame DeAnne Julius is a leading expert on global economic issues and international relations. From 1997 to 2001, DeAnne was a founder member of the Monetary Policy Committee of the Bank of England. From 2001 to 2004 she served on the Court of the Bank. For more information on economics and finance speaker DeAnne Julius, contact VBQ Speakers founding agent Leo von Bülow-Quirk on leo@vbqspeakers.com or 0044 7833 727090. Dame DeAnne Julius is a leading expert on global economic issues and international relations. From 1997 to 2001, DeAnne was a founder member of the Monetary Policy Committee of the Bank of England. From 2001 to 2004 she served on the Court of the Bank. 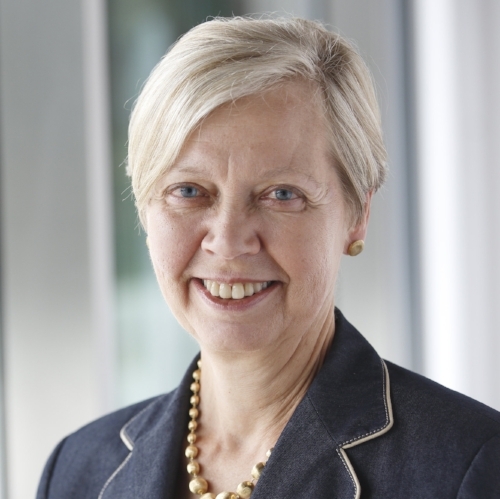 She is currently chair of University College London, and an independent non-executive director of Jones Lang LaSalle and Ice Benchmark Administration. From 2003 to 2012, she was Chair of Chatham House, the leading international affairs think tank, where she continues to serve as a Senior Adviser. She serves on the Temasek International Panel (Singapore), the International Advisory Council of the China Investment Corporation and the advisory board of Rock Creek Global (Washington DC). She has previously held a number of positions in the private sector, including chief economist at British Airways and Shell. She has been senior economic advisor at the World Bank and a consultant to the IMF and UNCTAD. DeAnne has written five books and numerous papers on subjects ranging from foreign direct investment to strategic planning and corporate governance. She holds five honorary doctorates. In 2012, DeAnne was made a Dame for her services to international relations. Few people have had as distinguished a career in policy-making, business and academia as DeAnne. With extensive experience spanning Europe, the US and Asia, she is able to give a truly global view on the critical issues surrounding risk in the international economic and political systems.